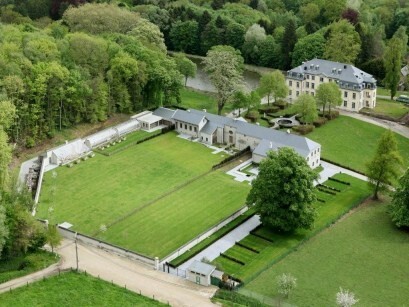 Baron's House is situated in a recently renovated monumental building from 1705. Each room is equipped with a flat-screen and satellite TV and free Wi-Fi. The romantic rooms have private facilities. An extensive breakfast is served in the morning. Baron’s House is situated in the heart of the beautiful De Doode Bemde Valley. This area is ideal for walking and cycling. Leuven is 8 km away and Brussels 15 km. Baron’s House is part of the coach house of the well-known castle park of Neerijse. 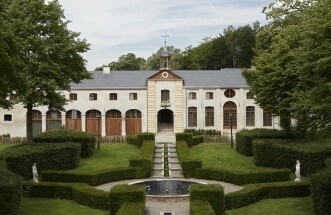 This coach house is not only known for its rich history – it dates from around 1700 – but also because of its unique setting, in the centre of several hectares of the nature reserve De Doode Bemde. Baron’s House combines Bed, Breakfast and Business. Its residents and owners, active business persons themselves, are happy to put their personal business accommodation at your disposal. At Baron’s House, meetings are possible in an intimate atmosphere and are connected with fully equipped and rich accommodation. You name it and it is at your disposal to use it, under professional guidance if needed. Baron’s House offers 8 rooms, each with their own luxurious bath room, toilet, flat screen TV, telephone, minibar, safe and cosy sitting area. This charming house is the ideal place to discover both Leuven (8 km) as well as Brussels (15 km). 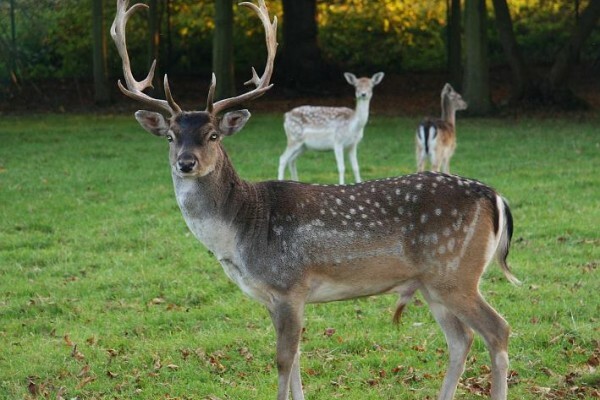 It is also a perfect place to find peace and quiet, as it is situated in the middle of nature and between deers, after having undertaken long walks or cycling tours without encountering a single house. Afterwards you can find peace and quiet by the fire place and have a nice glass of champagne. Baron’s House offers an unseen mix of charm, quality, class and intimacy. 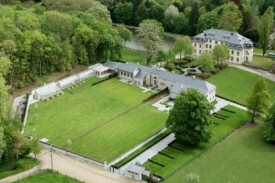 No experiences yet with B&B Baron's House Neerijse-Leuven. Be the first! Did you stay in B&B Baron's House Neerijse-Leuven? Let us know what you thought about it and help others to make the right choice! * I confirm having stayed in B&B Baron's House Neerijse-Leuven. Find other bed & breakfasts in Huldenberg, all bed & breakfasts in Groene Gordel or all bed & breakfasts in Flemish Brabant.